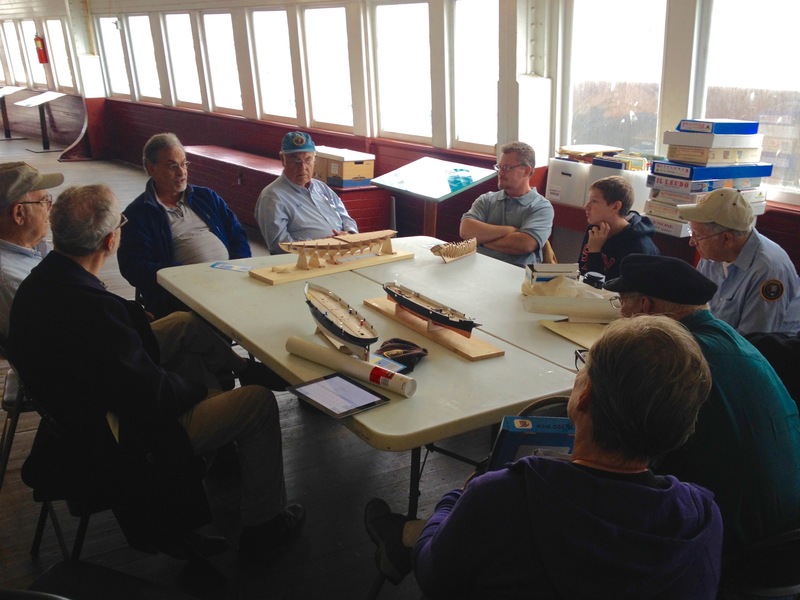 It’s time again for the next meeting of the Hyde Street Pier Model Shipwrights. This should be a good meeting as it’s the first meeting following this year’s NRG conference and last week’s club outing aboard the USS Potomac. The meeting also follows a workday that took place a couple weeks ago where a number of club members met to clean up our workshop and set up a new bookshelf. As always, guests are welcome. We meet at 9:30am on the third Saturday of every month outside our workshop aboard the ferryboat Eureka at Hyde Street Pier. Going aboard the ships at the pier usually requires that you purchase a pass. However, if you are coming just for the meeting, just head right on aboard the Eureka. If anyone asks, just let them know you’re heading for the ship model meeting. This entry was posted in Club News, Hyde Street Pier and tagged Meeting by catopower. Bookmark the permalink.